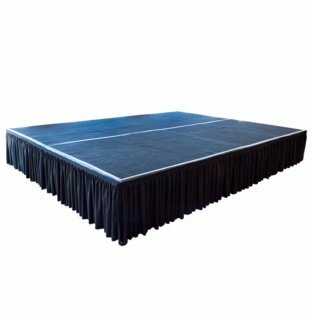 Stage Skirts give your Stage riser platforms a professional, finished look. The black pleaded fabric is a lightweight poly blend. Please inquire for avaliable heights.